The Oxford Pumpkin Festival is back again for its 6th year, from 26th Oct – 3rd Nov 2019. Get in touch with your idea for an event as part of the 2019 Pumpkin Festival, or talk to us if you would like to support us by volunteering. The fourth annual festival took place from 28th October to 5th November 2017. A total of 10 million #PumpkinRescue tweet reach nationally. Join the Sandford Talking Shop team for a special Hallowe’en market with a fancy dress competition for kids—winner announced at 11am. There will be homemade pumpkin soup made with pumpkins grown in the Talking Shop garden. Enjoy pumpkin recipes along with the usual local produce, including bread, veg, meat, eggs and more. Discover pumpkins and squashes of all shapes and sizes, with recipe ideas for each type. With scrumptious food and drink from the Sandy Lane BBQ, Shand’s cakes, Horsebox Coffee Co., The Oxford Artisan Distillery (TOAD). The farm shop will be stocked to the brim with freshly harvested produce. Come and enjoy an inventive and ethical dining experience using high quality ingredients from food surplus. The menu will depend on food surplus available on the day and will be full of love and style. Squash food waste with a feast! Celebrate OxGrow’s achievements from the past year at their pumpkin-centred garden party. Join for a normal gardening session from midday. At 2.30/3pm there will be a delicious pumpkin feast to share, along with the chance to discuss ideas for the future of Oxgrow and the opportunity to socialise with other OxGrow volunteers. Registration: Pay on the door – just turn up! Visit Donnington Doorstep Family Centre for an afternoon of autumnal fun. Enjoy live music, autumn crafts, a bonfire in the garden and pumpkin fancy dress. There will be veggie pumpkin curry, cakes and hot drinks on sale to warm you up too. Visit Restore during their pumpkin-themed week to savour the delicious pumpkin specials on the menu, to use the kids art table, take part in competitions, and to pick up leaflets promoting why pumpkins are good for mental and physical health. Enjoy pumpkin recipes along with the usual local produce, including bread, veg, meat, eggs and more. Come and enjoy the garden and large sandpit, eat pumpkin soup around the bonfire and make pizza in the wood-fired oven. Suitable for all ages. Everyone welcome. A gentle alternative to firework events! Join Cook With Fire for an evening of seasonal feasting over the fire featuring local wild vension and pumpkins galore plus music and TapSocial brews. Enjoy a sparkling autumnual night of friends, feasting and keeping toasty by the bonfire. Email Disco Soup Oxford [@] gmail.com if you’ve got any questions or would like to volunteer on the day! 2016 PUMPKIN FESTIVAL PROGRAMME – 22ND OCT – 6TH NOV. Registration: Turn up and eat, or get involved with cooking! Chop, Feast & Dance to the BEETroot and all the other surplus veg and fruit that we’ll be collecting; to cook up, altogether, into a FREE FEAST for all! Part of the Oxford Food and Drink Festival. Take a trail round the beautiful Oxford Botanic Gardens and see what’s happening in the garden this Autumn, including the colourful harvest of pumpkins and squashes displayed in the conservatory. The School Lunch Co. have created special pumpkin recipes for 60 schools across Oxfordshire, to get pupils thinking about food waste and seasonal eating. The chefs at TSK have been busily inventing creative ways to use pumpkin, and this evening if you go for dinner you’ll be able to choose a 3-course meal that’s entirely pumpkin-themed! We’ve even heard whispers of a pumpkin chai! TSK focuses on locally-sourced produce and independent drink makers, and all their profits go to support their sister charity, Oxford Hub. What’s not to love? Monday Shop is turning 2 and we have a lot to celebrate. For the second year running we have made over £3,000, all of which has gone to support at least 6 local producers; we have sold and given away tonnes of delicious organic fruit, veg and cake and saved it from going to waste, and provided a friendly space for people to meet, sit and have a cup of tea. Now we want to celebrate with you so come along for our usual goodies as well as foodie workshops, a jumble sale, a play corner for babies and toddlers and of course lots of birthday CAKE! Following the merriment we will hold our AGM, same location. More here. Registration: Limited spaces so sign up at mrolleman@oxford.gov.uk or call 01865 749597. Get ready for Halloween by carving your own pumpkin at the Rose Hill Community Centre. Suitable for kids 9 and up, make sure you bring an adult. Pumpkin provided and if you stay behind you can even taste a lovely pumpkin dish! Come Fancy dress competition for kids—winner announced at 11am. Kids’ craft area. Homemade Pumpkin soup and Pumpkin Pie. All along with our usual local produce, including bread, veg, meat, eggs and more! Cost: £2 adult, £1 child, £5 family. Registration: tickets on the door. Family fun with bonfire, activities and scrummy snacks cooked up from food surplus. It will be hosted Donnington Doorstep, a family centre aiming to increase happiness, physical, mental and emotional well-being as well as improving life chances for socially excluded children and young people. Oxford Pumpkin Festival and Oxford University Ceilidh Band invite you to a Halloween Ceilidh. Expect jigs and reels, chaotic dancing and pumpkin themed baking! This Halloween students from Oxford Brookes University will be invited to volunteer their evening to take part in a food drive in residential areas in Oxford in the theme of usual Halloween trick or treating – except rather than asking for a treat they will ask whether the household has any spare food to donate for the food bank! Training will be offering beforehand at Oxford Brookes, before students hit the street. More info here. Oxford City Farm are having a work party to celebrate their fantastic crop of pumpkins. They will be using their lovely vegetables in a heart warming pumpkin soup lovingly warmed on a bonfire. Please bring along your Halloween pumpkins to be recycled. More info here. Cost: £4, free for over 65s. A fun, gentle bonfire and music session at the garden particularly suitable for smaller children and their families. No loud fireworks. Children you are especially welcome to bring your grandparents or older carers and friends to this session who get a free ticket. More info here. Love glowing lights, autumnal allotments and meeting your future favourite friends? Thought so! Come and join Tandem and Silvie for a magical evening celebrating Guy Fawkes and Pumpkins in a cozy musical coccoon. Tickers include a night of music and a special pumpkin themed dinner. More info here. Feeling hollow and empty post Halloween? Bring your empty pumpkins down to Ox Grow and get your inner lantern shining again! We’ll be turning old pumpkins into bird feeders, cooking up a feast, playing games and gardening galore. 2015 PUMPKIN FESTIVAL PROGRAMME – 24TH OCT – 6TH NOV.
Take a trail round the beautiful Oxford Botanic Gardens and explore sustainability and seasonal growing. We’ll be rescuing lost, forgotten, misshapen, slug-munched, and outsized vegetables – fennel, pointed cabbages and beetroot that are not quite beautiful enough to sell on the VegVan, but that are perfectly good to eat! Gleaning has a long and illustrious history; it has been happening on farms for aeons. Let’s bring it back! Registration: Just turn up! Family fun with bonfire, activities and scrummy snacks cooked up from food surplus. It will be hosted Donnington Doorstep, a family centre aiming to increase happiness, physical, mental and emotional well-being as well as improving life chances for socially excluded children and young people. Cost: £8/£6cons; £10 on the door. Registration: Advance booking is recommended as spaces are limited. Buy your tickets here. Join us on the 25th October at Hill End’s wonderful barn for an evening of intimate hand-picked music and pumpkin fun! For our second evening of a series of concerts on the last Sunday of every month we’ll be welcoming Ditte Elly and Lecaudé, following an afternoon of pumpkin activities and workshops. For more details visit the Facebook page. Cost: FREE. Pay as you feel veg. This year, Monday Shop has made over £3,000, all of which has gone to support at least 7 local producers, it has sold and given away tonnes of delicious organic fruit, veg and cake and saved it from going to waste, and it has provided a friendly space for people to meet, sit and have a cup of tea. Most importantly more people come and visit each Monday and the team of 4 has grown to more than 10 super volunteers!! Celebrations will include workshops (Zine-making, make-your-own sauerkraut, apple pressing), live music, (Lots of) birthday cake and treats, kids corner with crafts and games, and of course…delicious fruit, veg, bread, eggs, honey and always some surprises! More details and updates will be on their Facebook event page. Oxford Botanic Gardens will be celebrating the Big Draw, using leaves from their collection as inspiration for recycled art activities. Head along to get creative, celebrate the seasons and also pick up some of our great pumpkin recipe cards! Come and join our outdoor, drop in soup making session with Relish. We’ll have pumpkins and other veg to create a delicious warm and spicy soup, cook and taste, all for free. The centre’s Broomtree Café will be serving their usual range of great drinks, treats and tasty lunch. Sandford are hosting a special pumpkintastic version of their Saturday market, with fun Halloween activities alongside the usual selection of scrumptious local produce and goodies from the cafe. Registration: Just turn up or get in touch to volunteer. The third in a series of super successful Oxford Food Surplus Cafe pop up events, serving scrummy meals made by volunteers from food which would otherwise have been thrown away!The Oxford Food Surplus Café aims to help redress the imbalance in our food system by reclaiming surplus food and transforming it into delicious healthy meals accessible to all. Using the pay as you feel system, customers are able to contribute either what they can afford or what they think the food, space and idea is worth. 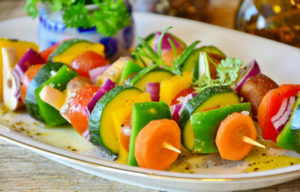 They want to create an inclusive space to encourage community engagement and reconnect people with the food they eat. The Earth Trust’s usual Sunday Drop-in has a Halloween theme…Come and taste our scarily delicious pumpkin soup by the fire and try making your own Halloween potions! Registration: RSVP by 1st November to hannah.jacobs@goodfoodoxford.org to book your free place. Find out what happens to food waste once it’s collected from outside your house… A journey into the belly of the beast! We highly recommend this experience, this is composting on a supersized scale. Keep up to date with the latest during the festival at @hubbubuk #pumpkinrescue #OxPumpkinFest. The Oxford Pumpkin Festival is a collaboration between Good Food Oxford and Hubbub, taking a fresh approach to the environment by collaborating with groups across the UK to bring you events & activities around popular interests! Find them on Facebook here. Read about what we got up to in 2014 below, or check out the Storify. 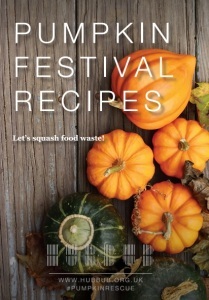 The Oxford Pumpkin Festival (Thursday 30th October – Sunday 9th November 2014) was a celebration of food: creatively encouraging people to think about the food they throw away, challenging preconceptions and teaching new skills. Mark the launch of the festival by joining us for a round of inspiring and encouraging short talks with food and drinks. 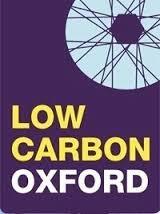 Featuring talks from Hubbub, Good Food Oxford, Love Food Hate Waste, Kerry McCarthy MP and lots more. Drinks and canapés will be provided. Join us for a night of music, poetry and more! The Catweazle Club has become a legendary open-mic night and is often called England’s most intimate performance space! For this special Pumpkin Festival edition, performers are invited to theme their performance around food, food-waste and the spookiness of Halloween. Those brilliant creative types from This Is Rubbish will be running an extra-special Scratch Feast in the atmospheric setting of the OVADA warehouse, hidden amongst the backstreets of West Oxford. Scratch Feasts are interactive journeys taking people through the food supply chain! Performers will lead the audience through three courses of games and stories, while feeding the audience on nuggets of knowledge and tasty treats made from food that would otherwise be wasted. Come hungry..! Disco Soup is a grass-roots international movement to raise awareness of food waste through preparing and cooking soup in public places in a party atmosphere! Inspired by the Slow Food Deutschland’s Schnippel Disko – the first of it’s kind, there have since been “Disco Soup” type events from Paris to New York and many places in between. So come along to Bonn Square for a free cook-up and meal, open to all. You can even come to help cook and serve the free hot meals – mostly, but not limited to pumpkin soup! All from produce that would otherwise have gone to waste. Previous Disco Soups have fed 600 + people! 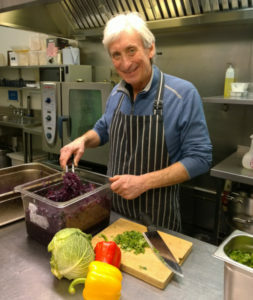 Oxford Food Bank collects good quality fresh food from local supermarkets and wholesalers and delivers it for free to over 40 registered charities in the Oxford area. For every £1 we receive in donations we deliver around £25 worth of fruit, vegetables, bread and dairy products. That’s currently nearly £1 million worth of food a year! Come and have a look around the nerve centre of the operation! What can we say, we love soup! And this soup is going to be doubly tasty – all of the proceeds from the Project Soup micro-funding dinner go to local projects. The food is all cooked from food surplus… and there may just be a few pumpkins making an appearance. Four local community projects or groups will come and give a brief ‘pitch’ to the attendees, followed by a Q&A. Then everyone who attends will have a single, confidential vote on the project they would like to receive the funds. The project with the most votes gets the money from the door (and any other money raised on the night)! Great fun, for a good cause. See you there! By 2050 there will be more than nine billion people on the planet. Already one in 6 people go hungry. At the same time, a similar number are overweight or obese and more than a quarter of all food is wasted. Is the challenge of feeding 9 billion a matter of producing more food, redistributing what we already produce or cutting waste? Organised by Oxford Food Justice. Halloween’s now a distant memory, and you’ve carved your pumpkin, and eaten it too. But this doesn’t have to be it til next year. Pumpkins and other squash hang around all autumn and winter, if you know where to find them. Drop by Cultivate’s VegVan to discover all the different varieties of fabulous squash being grown on farms around Oxford. One of our Grocers will be on hand to assist in the squash identification challenge! One major source of food waste is on farms. At Cultivate we don’t shy away from selling the odd slug-nibbled beetroot, four-legged carrot, or gargantuan cabbage. But every farm produces some edible food waste that isn’t fit for sale but that could be “gleaned” and eaten. We’ve planned our first ever gleaning session, to coincide with the Oxford Pumpkin Festival. Come along and get stuck in! To round off the festival, join us for an afternoon in one of the most exciting spaces Oxford has to offer. You’ll find a warehouse full live music, workshop, talks, food and more! This is a unique event where the musicians with the help of a fantastic visual will extend their performance from stage to the audience with various sonic and visual contraptions! Organised by Tandem Festival. Registration: A wonderful and magical evening of fire celebration with the Nature Effect at Barracks Lane Garden. Including pumpkin-themed story telling and music with Robert Holtom and Chris Parks around the fire and in the cabin, a procession and fire activities, hot soup, mulled juice and cake. There will be a great fire but no loud fireworks. Please bring your own sparklers and marshmallows if you would like to. Food and drinks (non-alcoholic) available. This event is suitable for everyone. Children must be accompanied by an adult. Oxford’s Community Edible Garden is hosting the final event of the Pumpkin Festival. The Master Composters will be joining us in the garden with any pumpkin remains that can’t be eaten – we’ve 7 compost bays that are waiting to be filled with the perfect ratio of nitrogen and carbon (a.k.a. greens & browns). Come learn the intricate chemistry involved. We’re also building bug hotels, selling off Abundance Oxford’s grafted apple trees (to loving parents), and whipping together a huge feast with Food Justice! Check the Facebook event page for more info. Create your own glow in the dark lantern and join the cooking skills-share to make tasty pumpkin soup. Possible thanks to the generous support of the Conservation Volunteers, Community First and the Oxford Community Food Bank. 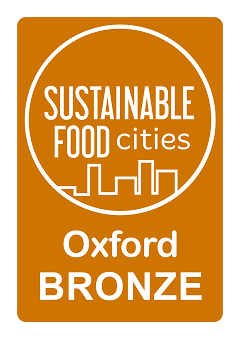 Registration: If you can, register online, or email nicholas@goodfoodoxford.org… or just turn up! A pre-festival warmup bonding dinner where the festival staff and volunteers will get together to cook then share a food-waste feast! You are cordially invited to Dinnertime at Restore from 7pm to 10pm – a group cook-up followed by a delicious dinner to internally launch the Pumpkin Festival! Bring any food going to waste in your house! Botanical Gardens: Wild about gardens! Celebrate Wild About Gardens Week. Make homes and feeders for wildlife in your garden. Find out how to make your green spaces more wildlife-friendly. Drop-in session. Other events being run during the festival included creative cooking at the Junior Youth Club run by Rose Hill Regeneration, and workshops run by Groundwork at Larkrise and Windmill primary schools. Keep up to date with the latest during the festival at @hubbubuk #pumpkinrescue. Get in touch with each event organiser to volunteer your time! 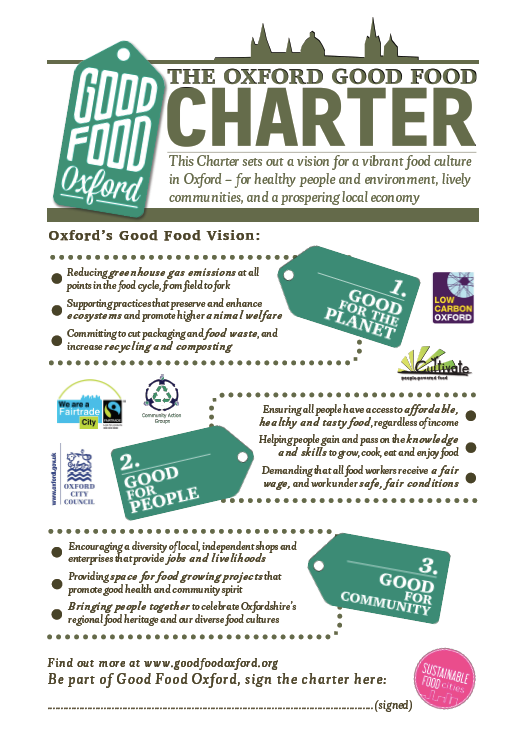 You can find out more about the organisations working on food in Oxford on the GFO network web page. Let us know if you'd like to be part of the network! Oxford Pumpkin Festival is organised by Good Food Oxford with thanks to Oxfordshire County Council and Hubbub.